Very often, we find ourselves at the short end of the stick in a deal, bargain, or enterprise, or even simple transactions in our daily lives. Sometimes, we feel cheated of our rightful estates, possessions, holdings, or value in a transaction. That’s not a very pleasant feeling is it? Sometimes, it feels like we get less than what we deserve, and what little we have should be kept, guarded well, and hoarded if it seems, and only shared sparingly. Is there someone to blame for this mindset and culture? Some people argue that it is only human nature to seek an advantage to gain it over others. Some even go so far to say that selfishness, is a trait that is common in the well to do, the rich, the disciplined, and the fiscally prudent. Some also call it fiscal discipline. Well, it may be one of these things, and it may be all of these things, but let’s not forget that correlation does not mean causation. In essence, just because you’re rich, means you’re selfish, and just because you’re selfish, means you’re more likely to be rich. Good news? Hardly. But let’s take a look at the other camp shall we. Giving and generosity have been equated (mostly) with being a good person or individual, and is usually associated with charity, is it not? But what if I told you – it’s not always the case, and that perhaps, giving and generosity is not just good for character building and the soul, but also for your own gain too? The sharing economy, the barter economy, and communities who actively promote trust and generosity amongst its members are active members and examples of this hypothesis. In barter economies, goods are exchanged for each other. However, in many transactions, you can’t exactly rely on the exact value of goods exchanged to form a fair transaction, as you can’t split the goods to give out the remaining amount of value. For example, you need 3 pots and you have a cow to trade it for, and it’s a milk cow so slaughtering it to split its meat up is not fiscally prudent. Your neighbour has three pots. Now, you want to trade the cow for the three pots, but the cow is worth at least twenty times the pots. You have nothing else to trade with, so you can either record the transaction as a loss, or a debt owed to you by your neighbour in the form of pots. That would be odd, especially if everyone kept a tally in different forms measuring values indebted via various commodities like pots, which is also the reason money was invented, but we’ll get to that later. So, what you could do, is be generous and take the pots, give the cow to your neighbour, who then feels indebted to you with gratitude, making it easier for the both of you to work together and help each other in other business or industrial activities anyway. 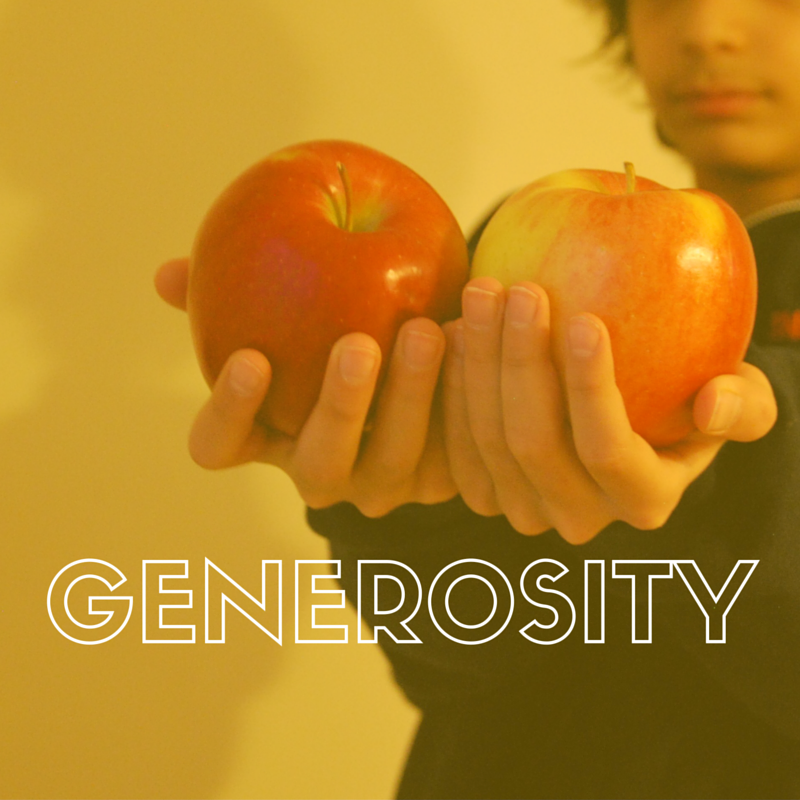 Generosity – in itself, is also a sign that the giver is able and wealthy enough to give. Basically, the giver becomes a patron. But practiced within a community, it encourages trust. If there is a doubt that generosity itself is not a natural trait, here’s proof that it is. In evolutionary survival – the best and most robust methods are the ones which involve generosity and co-operation. Researchers Alexander J. Stewart and Joshua B. Plotkin from Pennsylvania’s Department of Biology in the School of Arts and Sciences, examined the outcome of the Prisoner’s Dilemma when played repeatedly by a large, evolving group of players. While other researchers have previously suggested that being cooperative can be successful, Stewart and Plotkin offer ‘mathematical proof’ that the only strategies that succeed in the long term are generous ones. In this version of the Prisoner’s Dilemma, only successful players would be allowed to proceed on to the next round, but with one caveat! The players who won would get to have more “offspring”, meaning that they would be able to have more players representing them in the next game. It should also be noted that they were able to communicate and teach their “offspring” on their strategies. Over the course of the experiment, the only strategies that survived were the ones that not only relied on co-operation alone, but also involved generosity and forgiveness on the part of the players involved. In comparison, the other strategy that a player can employ is an extortion strategy, basically, to take short term gain, by using the current situation for personal gain at the expense of other players. Sounds familiar? Well – employing this strategy allows for the best possible immediate outcome; but in the long run, affects the entire group, as the selfishness is reciprocated, and in the end, no one truly gains the most. So, instead of a head-to-head competition, the researchers applied this to a group of people playing against one another(compared to a prisoner’s dilemma where it is 1-1), to realistically simulate communities and groups of people. During the research, it was found that these extortion strategies don’t work well if played within a larger group of people who interact with each other, and not just between two people, because an extortion strategy doesn’t succeed when played against itself. However. in generous strategies, players tend to cooperate with their opponents more, and are generous in their aid; and they also tend to forgive players who are selfish over time, as compared to excluding them completely. E.g, you help me, and I’ll help you, and we both win. Using tests on how some generous strategies would work in a community of people, the researchers crafted a mathematical formula proving that, not only can generous strategies work best in this version of the Prisoner’s Dilemma, but also that these are the only strategies that resist individual selfish people in the test group and continue to endure. These findings were reported in the PNAS journal. In short – generosity is not a zero sum game. Giving doesn’t mean you lose out – it only means you build relationships within group of people where all of you prosper more by working together, compared to your chances of prospering if you were to be selfish and look out only for yourself. Isn’t it only natural that a sharing app like ours is an extension of human nature to share and be generous then instead of just looking out for yourself? Copyright © 2019 Lendogram Blog: Share with Friends.